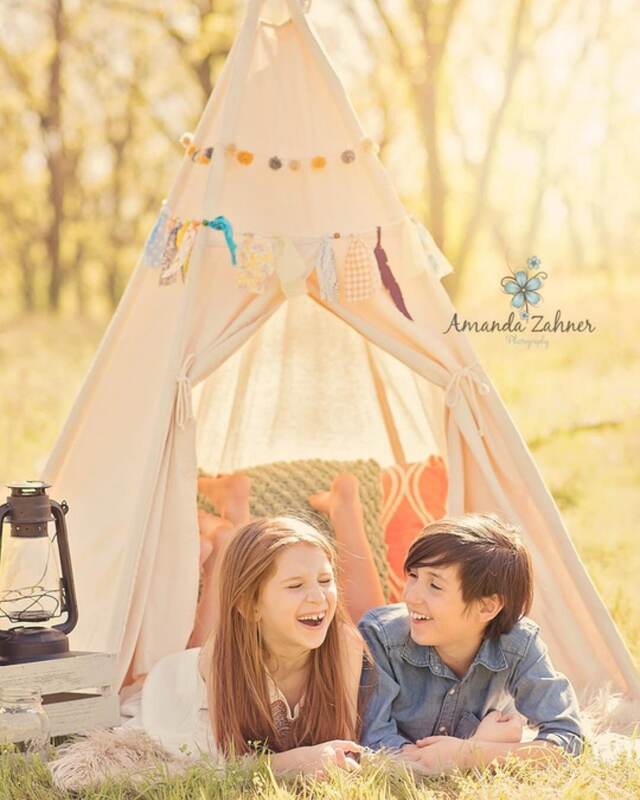 All other teepees on the market will collapse when kids pull the poles. We use full length whole piece solid wood/ nature bamboo poles for stronger frame. Orders in USA and Canada will be shipped with poles. No fire retardant in the fabric (commonly found in commercial brand ). 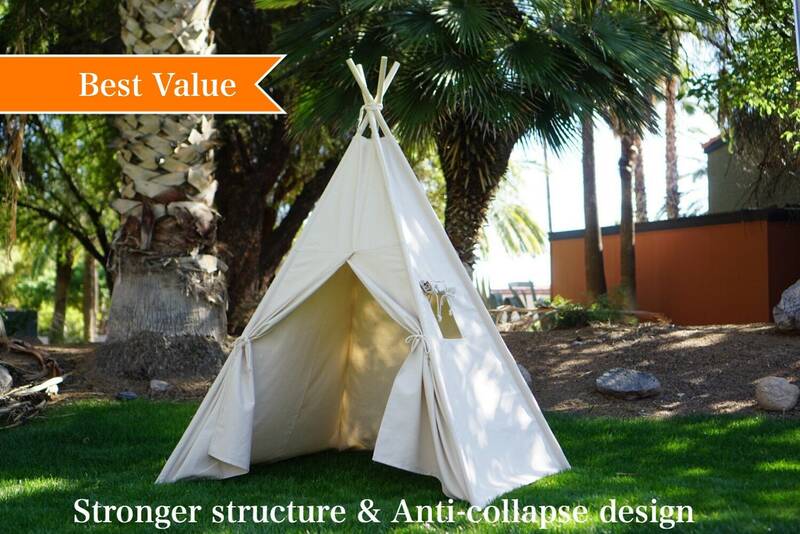 There are a lot plain teepees on the market, but I assure you that this is the only refined one. 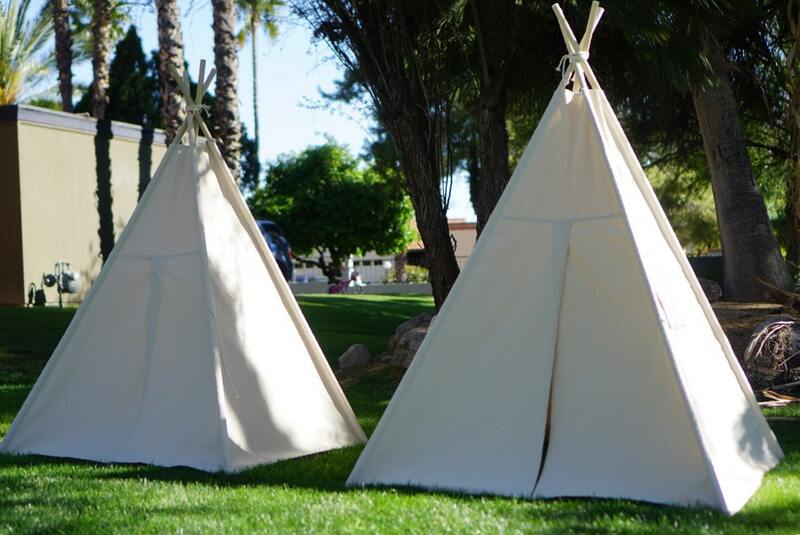 We handed out questionnaire survey to 98 families who owned teepee. The following added features are the top three requested so we know these will make the kids/parents happier. ★ Featuring overlapping door flaps and it closes fully without gap. 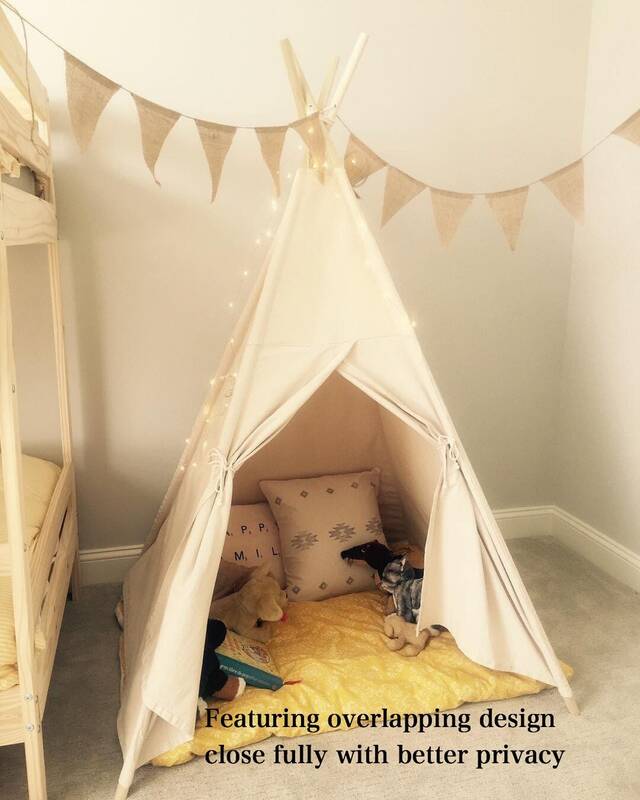 The teepee without overlapping feature always leave a gap when you close it which makes kids unhappy. 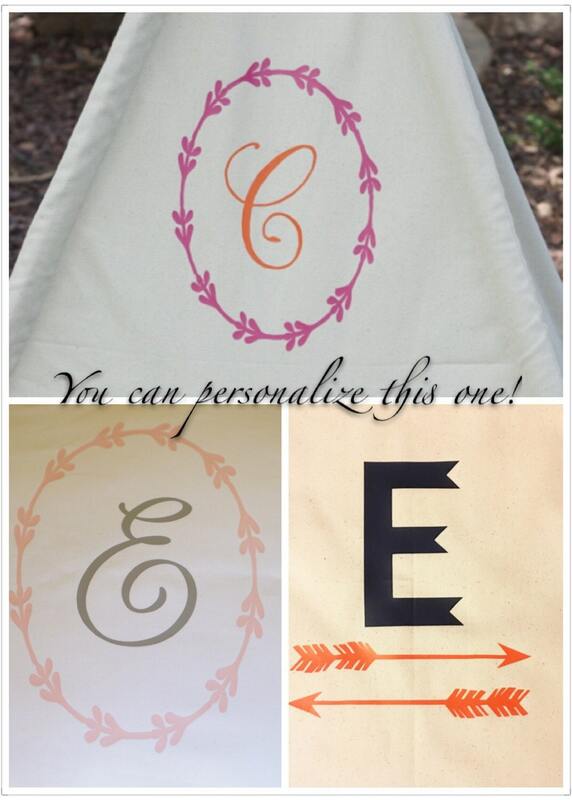 The overlapping pattern is more time consuming but I think your little one will appreciate our effort. 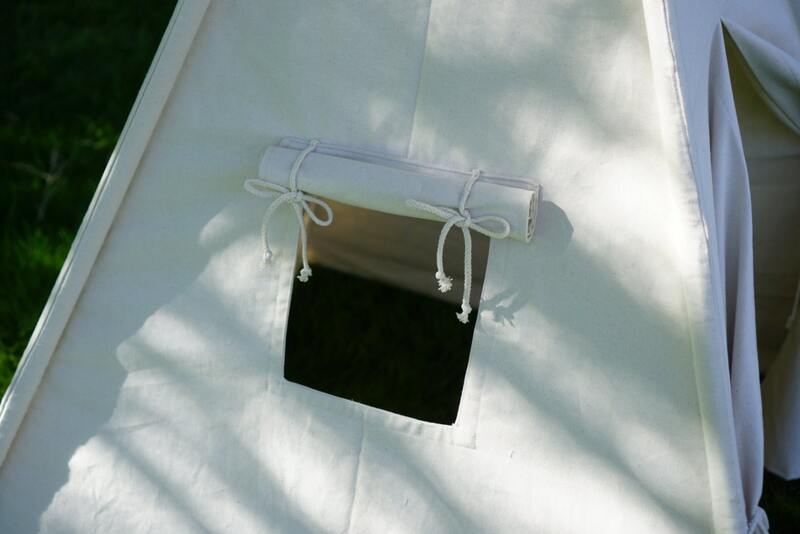 The teepee comes with 3*3 inches opening on the top and it is very important. 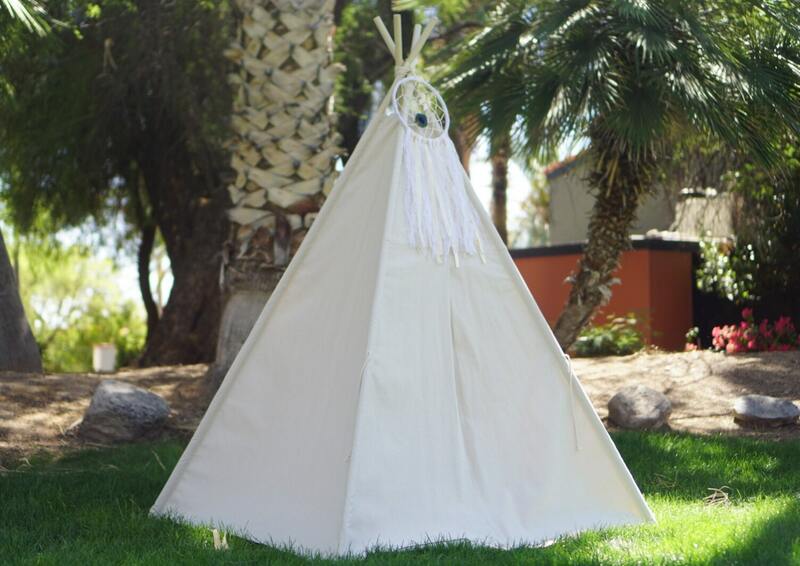 It will allow better air flowing in the teepee and also be easier for you to hang in some string lights etc. BTW: You will especially appreciate this feature during summer.